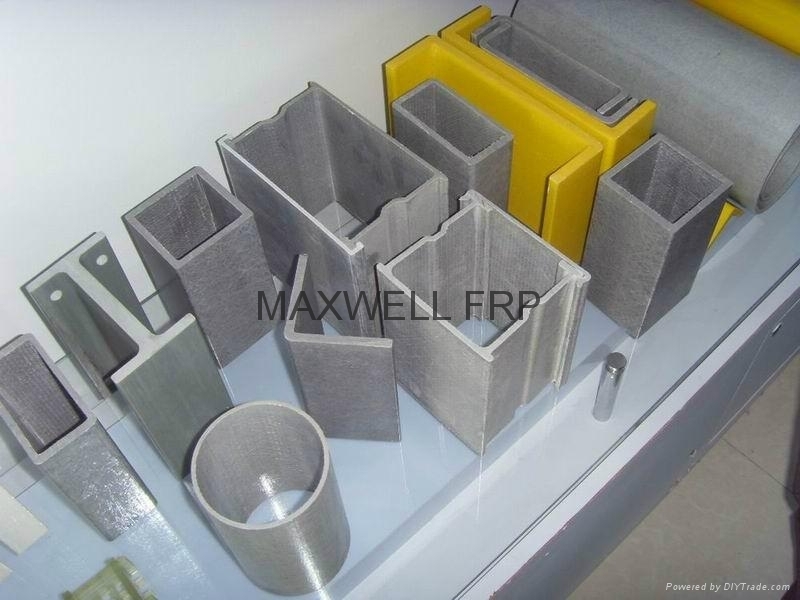 Pultruded FRP Structural Profiles - NANJING MAXWELL NEW MATERIAL CO.
Pultruded fiberglass profiles are made from resin and continuous fiberglass roving&mat through special pultrusion machine. As a new composite material, it has been widely used as structural elements in a lot of industrial fields in place of steel,wood and aluminium etc. In comparison with traditional material, FRP profiles has more advantages and poperties,such as: light weight, high strength,corrosion resistant,fire retardant, electrical &thermal insulation, dimensional stability etc. We can change the resin matrix and reinforcement to make special FRP profiles to meet the customer's different application.